Allegro Classico is an original composition by talented composer Jeff Smallman. The ensemble consists of 2 flutes, oboe, bassoon, 2 clarinets and bass clarinet. 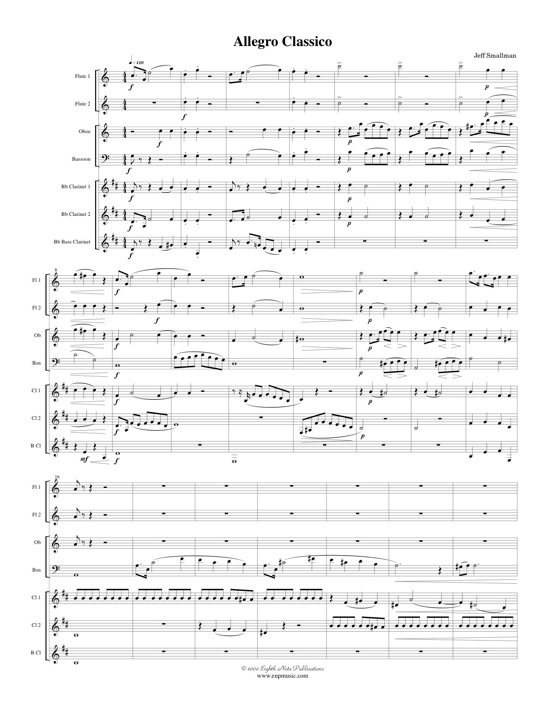 It has been written in the style of a Classical piano piece. Conventional harmonies combined with great melodic material make this piece a great addition to the repertoire of mixed woodwind ensemble.